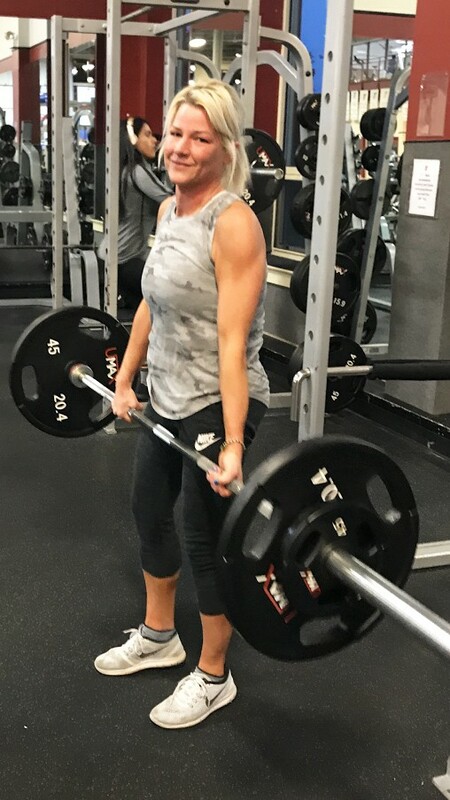 The Philadelphia native who was recently featured in People Magazine divulged the secrets to her journey that has her feeling like a new person. Jeanine McDonald began her weight-loss journey for two reasons. First, she wanted to be able to keep up with her four kids. She has four boys, three of whom have mild autism. She said she wants to be active when they grow older. Second, one of her sons called her fat. “He wasn’t being mean, he was being funny,” McDonald explained. But it was still enough to motivate her to begin eating healthier and exercising. In December 2015, she joined a fat-burning program, and dropped 30 pounds in a matter of months. That weight loss then gave her the confidence to start going to the gym. “I go to the gym at 8 p.m. every night when my kids are in bed,” McDonald said. She hires a babysitter to watch them while she’s out. McDonald is passionate about helping other people. She one day hopes to become a personal trainer and open her own gym. For now, she’s giving out healthy advice on her social media brand, Living Fit at 40. She posts videos and motivational posts on Facebook and Instagram. What’s the secret to her success? Perseverance. “I feel like a lot of people give up [exercising] because they don’t see results fast enough,” she said. She said it took her a few months to start seeing results. Before her journey started, McDonald would eat whatever she prepared for her sons that day for dinner, which was usually something lacking in nutrition like pizza or chicken nuggets. Now she spends her Sundays meal-prepping healthy food for the week. Her secret weapon? Overnight oatmeal jars. Using a recipe she found on Pinterest, she layers oatmeal, protein powder, yogurt, fruit and almond milk in a jar and lets it soak overnight for a hearty meal packed with nutrition. “It’s almost like eating pudding,” she said. McDonald was born in Kensington and spent most of her life in the Northeast, though she moved out of the city to find a school district that better suits her sons’ needs. She works at an event planning and designing company. Her sons are Aidan, 9, Chase, 7, Liam, 6, and Keegan, 3. As her main motivation for a healthier lifestyle, they have started responding to her changes. “Chase is all about counting calories now,” McDonald said. “He asks me to pack him salads for lunch.” Chase was the son who called her fat, which was exactly what she needed to hear. McDonald credits her new lifestyle to feeling happier and having more energy. Logan Krum can be reached at lkrum@newspapermediagroup.com. Follow Northeast Times on Twitter at @NETimesOfficial.